In private emails between Sir Dayvd of Oxfordshire and this Errant Knight, we have debated about the paranoia that is strangling the minds and hearts of fair-minded citizens of the world. Last night in Columbus I had the choice to go see the paranoid throngs pay homage to their goddess of the moment, Sara Palin, who was in town at Boarders to sign her book, Going Rogue. Instead I chose to go to the Victorian Midnight Cafe for authentic German Schnitzel, Anchor Steam Christmas Ale, and great local music, which I will expand on in tomorrows edition. 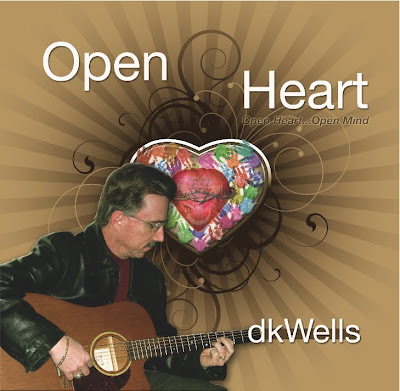 I reflected on what it means to keep and open heart and an open mind as the music bathed my soul...which is also the title of my collection of original songs I began to write after my open-heart surgery 7 years ago. 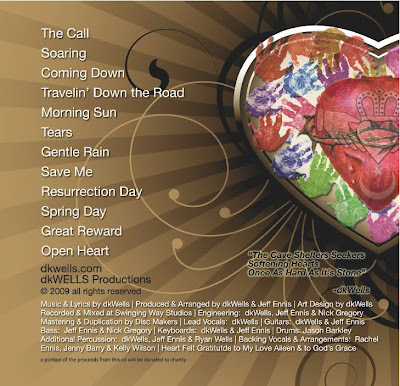 A few thousand dollars and many hours later, my CD is almost ready to go to mastering and press. Well...first thought for the day is I'll be driving home without any music. When I was walking to my car to load up to head home at the hotel, I discovered that my window had been smashed and that my iPod and my Garmin GPS, along with business cards and membership cards where stolen. The iPod can be replaced and the music is on my computer at home; however, Gwenneth, my GPS with the female British accent, which guided us through the streets of the UK this past July is a significant loss for me. OK, Sir D...NOW I'M HAVING FREAKIN' KITTENS! LOL! I'm still in Columbus at an Auto Glass repair shop to replace my window, just finished filing a police report and calling my insurance. Oh well...it could be much worse! Here's to the sound of silence on the way home. I'll make sure I don't cut my arse on some glass. awww furk.. My heart goes out to you H.. real sorry for you buddy.. Yeah your philosophies will all now go into overdrive on the way home...making you the humanist defending the scum that do this sort of thing,... but it still takes a lot of overcome the normal human emotion of injustice and anger and the wish to go buy a Magnum and shoot up the town. Still bite on the bullets instead of firing them H...and when lady A gives you a big hug tonight...you'll be the one sitting in the cosy big house with a big warm bed, and you'll know that whoever did this will never be as happy and contented as you. Second - I had never heard of the Victoria Midnight Cafe before this morning - when I read another friends post about a concert he'd seen there Thursday night. I will be very anxious to hear if you were at the same show and to compare reviews if indeed you were. Post script: I went to the Easton Apple store before I left town to buy a new iPod (Nano this time) and a cable to hook up my iPhone to my car stereo so that I could listen to music on the way home. I remained calm while I called a couple of card companies to report stolen, listened to some great music and reflected on a open heart and open mind. I prayed that the thieves would enjoy my iPod and music selection as much as I did and that they would treat Gwenneth with respect. Pulled into St. John's just in time to plug in the guitar and our trio played some beautiful and inspiring music last night. Afterwards, we retired to Knob Hill Tavern for Pizza and Fishbowls of Newcastle amongst laughter and stories! All better now, and I didn't go buy a gun! There is a Life Lesson there somewhere -- a moment to stop and be aware. As Gwenneth would say, "Recalculating, recalculating." I like the blowing up idea! Recalculating Mr Phelps!